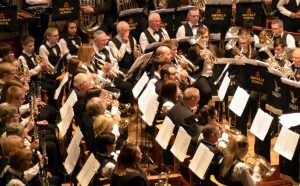 HUNDREDS of music fans turned out for the first in an ambitious double bill of performances by a Bolton band. 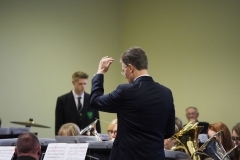 Musicians and singers brought the music of the movies to Victoria Hall on Saturday. 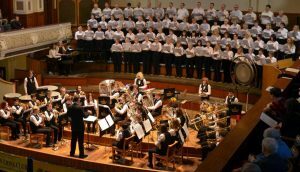 The In Hollywood gala concert featured film favourites by such as composer John William and Hans Zimmerman. 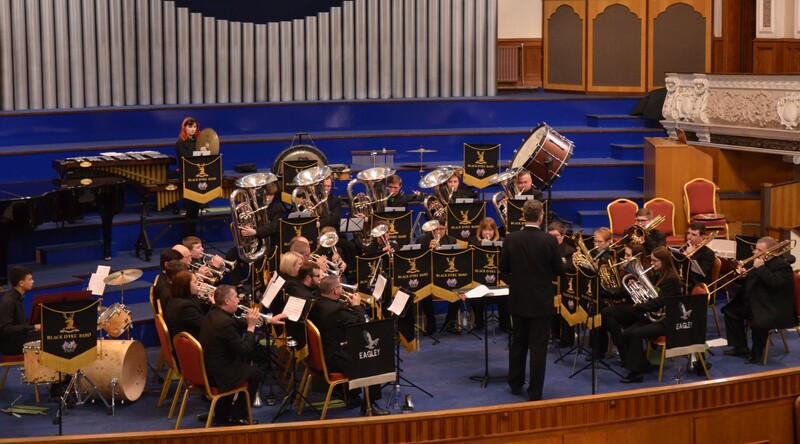 Joined by special guests the Eagley Brass Band, the Smithills choir and band conjured up memories of superheroes, far off galaxies, fairy tales, pirates and even rampaging dinosaurs. 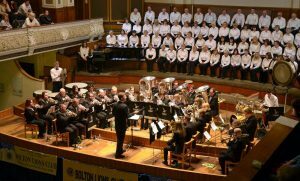 Musical director Chris Wormald celebrates 27 years as principal conductor at Smithills and thanked the hundreds of “amazingly supportive” Boltonians who packed into the hall for concert in aid of Bolton Lions Club. 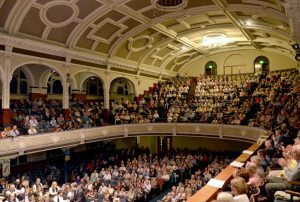 He said: “It is always a challenge to fill Bolton’s largest concert venue and raise as much money as possible for great charities such as the Bolton Lions, so to attract such huge numbers once again as Smithills and Eagley managed on Saturday evening was not only a great thrill for myself and every performer, parent, family member and friend who came, but for the charity too, whose many representatives at the concert were so appreciative. 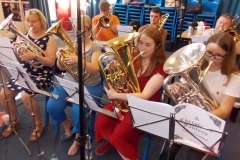 The concert included music from Star Wars, Beauty and the Beast, Pirates of the Caribbean, The Incredibles, Braveheart, Jurassic Park, The Phantom of the Opera, Mary Poppins, Les Miserables and, in a first for the musicians, Wicked. 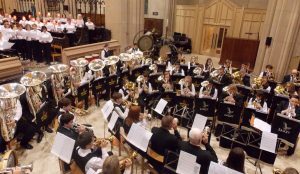 Smithills School Senior Brass Band and The Eagley Band joined forces with Smithills School Community Choir in Bolton Parish Church on Saturday evening July 9th to raise money for Derian House Children’s Hospice. 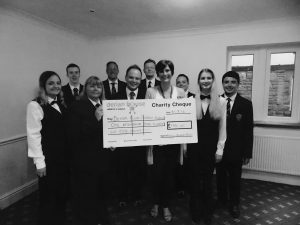 With monies still to come in, a superb evening raised over £1,300. 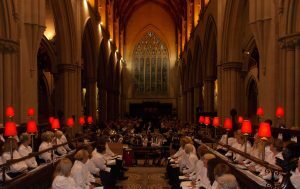 The programme featured Knight Templar, Riverdance, Locus Iste, Birdland, Bohemian Rhapsody, Jubilation, MacArthur Park, Benedictus, Deep Harmony, Under The Boardwalk, What I Did For Love, Nothin’ Like A Dame and many more audience favourites. 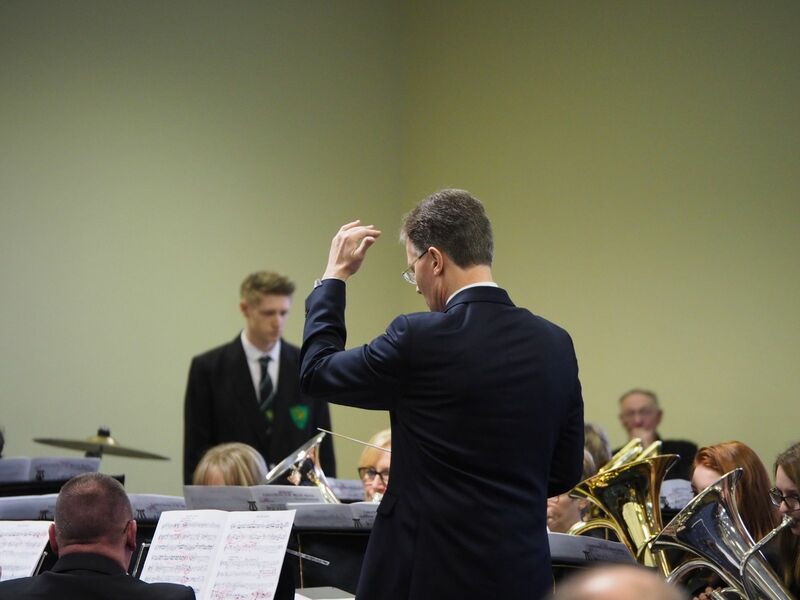 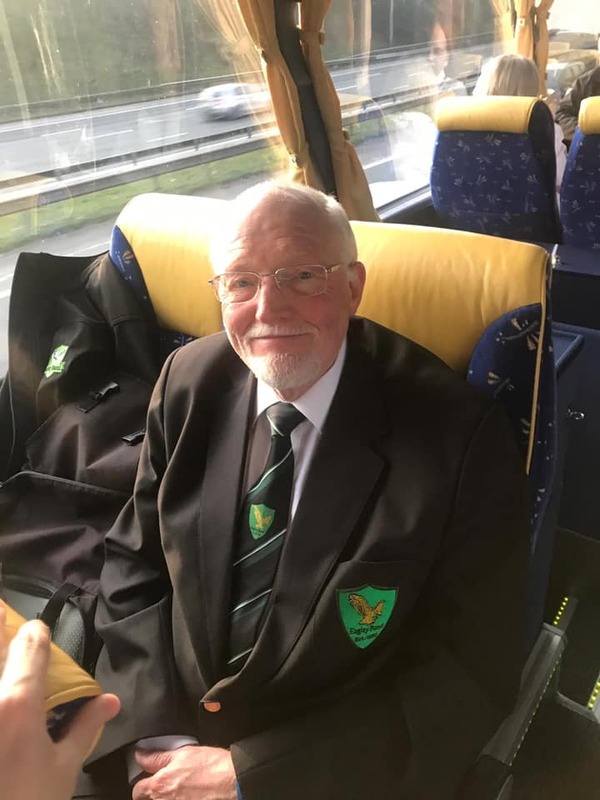 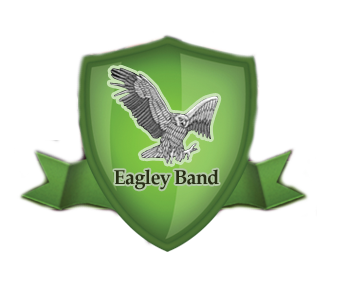 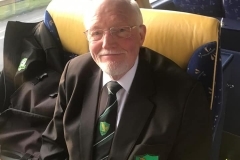 Eagley conductor Matthew Ryan was himself a Smithills pupil and musician from the age of 11 through to 18 taught by Smithills conductor Chris Wormald many years ago and a number of Eagley Band’s members are current and former Smithills players. 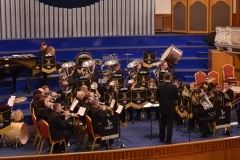 The concert was the final Smithills performance of its 2016 season before the band travels to Ireland on Wednesday July 13th to play three concerts in Cork, led for the final time by Principal Cornet Sophie Dunlevy, who will have completed 4 seasons as the latest outstanding Principal Cornet with Smithills.